The Cape Charles Harbor Area Review Board reviewed two high profile projects April 20 — the former Northampton Hotel at 1 Mason Avenue, and Patrick Hand’s Strawberry Street Corridor project. Both projects mean a lot to the rehabilitation and restoration of the Mason Street business district as well as to the overall historic character of Cape Charles itself. Mr. Hand has applied for a review for new construction of a mixed-use development consisting of 20 one-bedroom residential units above commercial units on the cleared site of the old Meatland building. On April 14 the Board of Zoning Appeals approved four variances to the application after approving a demolition permit last December. Harbor Area Review Board Chairman Ralph Orso questioned whether the applicant would be able to honor the variances following a VDOT site line inspection. It appeared the project could lose some parking spaces, dropping total parking to 38 or 39 spaces, while 40 spaces are required for the variance. Hand assured the Board that his engineer was working on the issue, and they were confident they would be able to achieve the 40 space total required. “Even with these slight changes, besides all the parking, we are still going to be able to keep the same amount of open and green space,” Hand said. 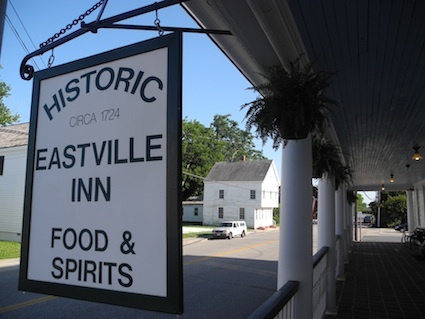 Eastville Inn’s bumpy ride in recent years reflects the difficulty of making a living from running a restaurant on the Eastern Shore. 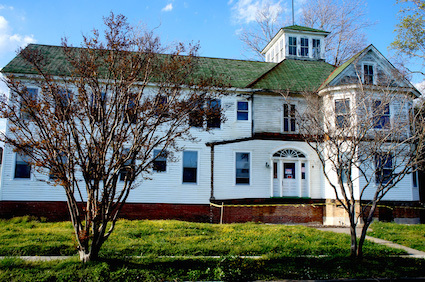 A little shy of two years ago, Eastville resident and Wave student journalist Sarah Gollibart wrote an article entitled “Eastville Inn Rises Again.” It went on to become one of the Wave’s most-read stories of the year, so I know that a lot of folks are interested in the Eastville Inn. But after the Inn shut down again on March 24, I started wondering, just what does it take to run a successful restaurant on the lower Eastern Shore? If the Eastville Inn can’t make it, who can – and how? The Eastville Inn is a good case study because on paper at least it has so much going for it. Start with a historic building (c.1724) in a quaint town. 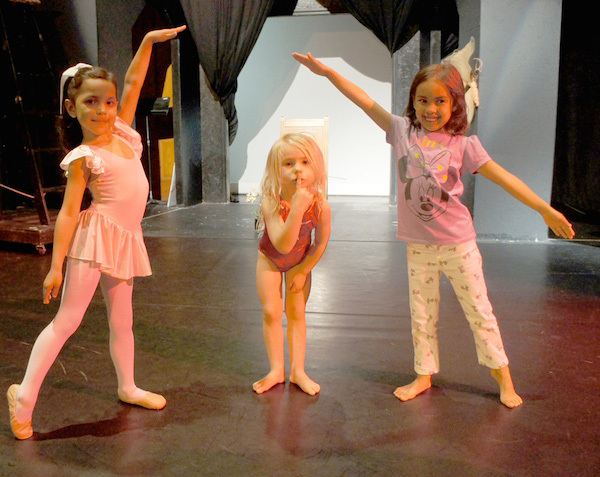 Add proximity to the courthouse and county seat government center. Top it off with a talented chef/owner (Brent Schmidt) who bent over backward to make his venture special and inviting. So what went wrong? The quick response might be that Chef Schmidt’s nouvelle cuisine wasn’t the local clientele’s cup of tea – either in taste (light), portion (small), or price (high). But wait a minute – those were some of the same causes attributed to the Eastville Inn’s failure two iterations earlier. Following that shutdown, a local team converted the Inn’s format to kind of an upscale Exmore Diner. But that didn’t work either – the former clientele didn’t like it, and the hoped-for new customers stayed at Yuk’s. In 1954, the Supreme Court case of Berman v. Parker set a precedent which allowed local governments to “tear down an old building to improve a neighborhood.” This landmark case oddly led the way for the modern preservation movement. The case was heard during the beginnings of the urban renewal movement, which sought to rehabilitate blight in America’s cities. Essentially, the ruling implied that aesthetics was enough to finally enforce a historic district’s preservation efforts. That is, a historic district could endeavor to protect historic neighborhoods based on visual importance. From the early attempts creating historic districts, such as Charleston, Savannah, or New Orleans, several key concepts have evolved, such as to protect significant historic properties against the threat of development, to encourage development in an older area, to maintain property values, or to create a brand or image of the place. Of course, there is the economic effect. Don Rypkema, in The Economics of Rehabilitation, states that historic reinvestment can generate tax credits and can establish a new and higher depreciation schedule, extend the property’s economic life, and achieve a better quantity, quality, and durability of the income stream. Also, it can stimulate tourism, private, increased property values, property values and sales tax, create jobs and compatible land use patterns. EDITOR’S NOTE: Professor Art Schwarzschild submitted the following letter April 20 to the Northampton County Board of Supervisors, asking that it be made public record. I would like to start this letter with an apology for the tone of my last letter which questioned the motivations behind what I saw as the mysterious insertion of the new zoning use, “Event Venue,” into the revised draft zoning proposal. That being said, I believe it is important for you to understand that the back room procedure being used to write and repeatedly tweak the proposed zoning changes with little to no public involvement or explanation has led many Northampton County residents to question the motivations behind the proposed changes. Once again, I would remind you of the comparison between the procedure used to create our current zoning code and this ongoing and confusing process. During the previous process the public was invited and encouraged to attend zoning work sessions in order to help craft a new comprehensive plan and zoning ordinance. These public work sessions were run by the County Planning Director and Planning Staff with additional support from paid consultants. Members of the PC and BOS were in attendance at each of these meetings to witness public input. Scientific data, Economic Reports and Case Studies were presented and used as guides to ask citizens what they wanted to see in Northampton County and to help provide a realistic road map for us to achieve these outcomes.